This Bible study will improve your life and your finances...because you will be learning what God says about handling money. Navigating Your Finances is for everyone—single or married, young or old, whether you earn a lot or a little. Amazingly, the Bible has 2,350 verses dealing with money and possessions, and 15 percent of everything Jesus said had to do with it. And as you apply these principles, you'll enjoy more financial health, freedom, peace and even joy. 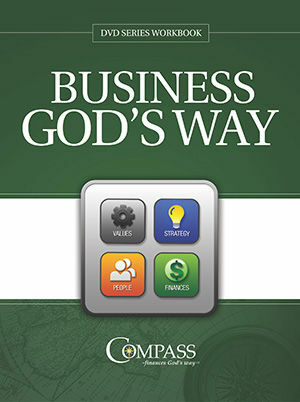 This Bible study will improve your business and your finances...because you will be learning what God says about operating a business and handling money. Business God's Way is for everyone in business leadership - the CEO or manager of a department, small business or large, whether the business is a start up or well established.